This Pioneer Valley High School basketball player leads her team in more than just points. Ravynn Anielski, a junior, has played varsity every year of her high school basketball career, and averages about 19 points a game, according to coach Ashley Sandoval. Anielski has scored a whopping total of 441 points so far this season. But as a team captain in her second term, Sandoval said Anielski also dedicates much of her practice and game time to encouraging and setting an example for her teammates. 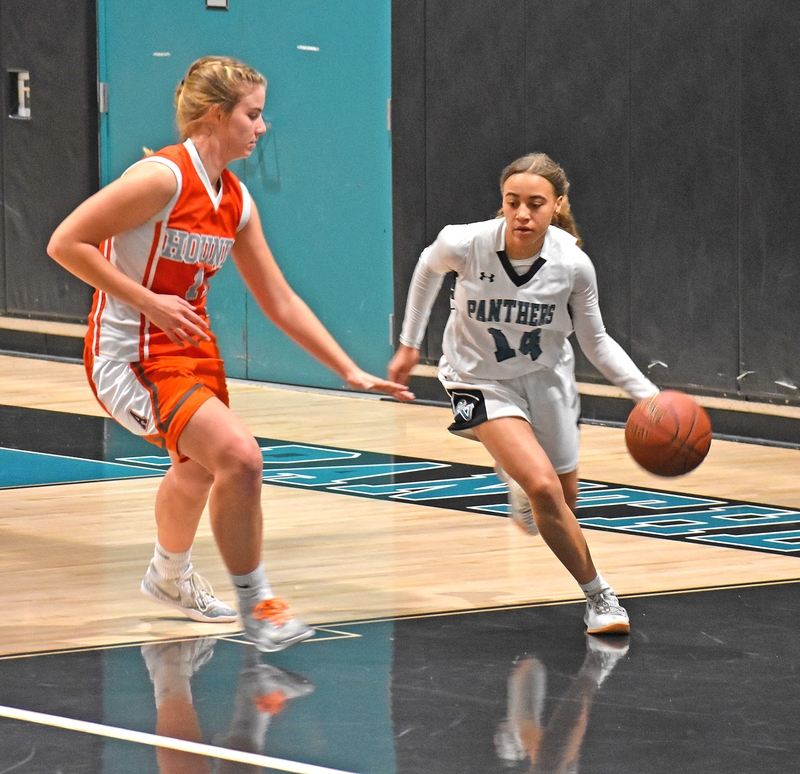 Her aggressive tactics paired with an unselfish and team-oriented mindset have led the Pioneer Valley girls’ varsity basketball team to a 9-1 record in Ocean League play.